Home Tags Posts tagged with "implementation"
There are probably a lot of things that each of us wants to change in the world today. Whether that’s how classroom teachers implement technology for learning, how people respond to each other, or just getting our children to put their toys away, change is something we are very familiar with and often seek. It might be a good idea, then, to look at what the research has to say about how to best foster change in whatever we are attempting. Grant Lichtman took a graphical representation of the steps needs for successful change done by Timothy Knoster and others in the Managing Complex Change Model first published in 1987 and added the steps he believes are necessary for school implementation of change. The graphic below illustrates those steps. The concept is clear. In his research, if any of the steps are not present, then a less-than-effective implementation of the new process will occur. The best way to think about this is with the illustration of rock climbing. There are a number of ways to get to the top. However, if you miss a hand or foothold, then the journey may not turn out like you hoped. (Lichtman does an excellent job of defining each of the above steps here. )The failure to plan for any one of these will result in anything from a complete failure of the new initiative to confusion, silos, and disconnects. As we look at implementing a new professional development program, a new technology, a different lunchroom process, whatever the change may be, we must be sure to include the eight critical steps that will ensure the new program and all of our hard work are successful. Every year as the clock nears midnight on December 31st, millions of people dream about what the new year will bring. A new year brings the hope of possibilities and a fresh start, and many of us make New Year’s resolutions and share them with others. We vow to lose weight, to spend more quality time with family, or to volunteer more often. Some resolutions we accomplish and others we don’t. Still, there is joy in the dreaming. Educators are blessed in that we get to make New Year’s resolutions twice a year. Just as January brings hope, fall brings about the start of a new school year. While we may be a little sad to see our summer fade so quickly, we eagerly look forward to seeing our colleagues and, most importantly, our students once again. So in August, many of us make new school year’s resolutions. This year, why not make a few of the new school year’s resolutions center around integrating technology into your classroom? Whether you’re a tech junkie, a novice, or somewhere in between, there’s always room for improvement. Our advice? Make your resolutions SMART: Specific, Measurable, Attainable, Relevant, and Time-bound. When you set your resolution measurement, make your mark high enough to challenge yourself, but not so high there’s no way you can accomplish it. It may be lofty to say “I will tweet out something about my class every hour of every day,” but chances are that just won’t happen. Setting out to “send ten positive affirmation emails to students daily” sure would be nice, but realistically it’s far fetched. Don’t be too easy on yourself, but give yourself a goal you can be proud of when you achieve it. It is important that your goals are meaningful. If you spend most of your technology time managing your email, then organizing your messages and reaching “inbox zero” should be a top priority. You can also focus on making day-to-day work more meaningful and integral for your students. How can you improve their centers, presentations, or group work with regular technology use? Lastly, share your resolutions with a trusted colleague, someone who will offer praise when you’re on track and a gentle nudge when you steer off course. If you do make a SMART new school year’s technology resolution, please let us know! Tweet it out, tag @TCEA, and use the hashtag #TechResolution17. Note: This is the second in a continuing series, Strategizing Your BYOT Implementation. Be sure to read other blog entries relevant to BYOD. “Mobile learning is all about changing instruction. 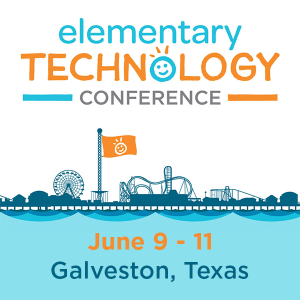 Because if the instruction doesn’t change, allowing the kids to bring their own device will do nothing,” shared Lenny Schad, Katy ISD Chief Technology Officer. Another approach, once you’ve explored BYOT from various stakeholder roles, is to review the checklist below and ask, How am I going to get there from here? Make this as specific as you can for YOUR role on campus. 1. Have you defined and aligned the goals for the BYOT program to the Campus Improvement Plan and district mission? Tip: Connect BYOT use to differentiated instruction, the district’s mission, and specific instructional strategies in your CIP. 2. Have you outlined expectations for teachers and students about using Google Suites for Education (e.g. Classroom) or Microsoft Classroom to create online, virtual classrooms? Tip: Encourage teachers to spend some classroom time answering questions from students on specifically how they will use the technologies in class. 3. Have you decided what to do when students and/or staff bring too many devices that slow down the network (one BYOT device per person is recommended)? Tip: Let students know they can only connect one wireless device to the network and why. 4. How will teachers be supported on campus–not just through district professional development–to transform classroom learning activities from being paper focused to electronic to eliminate the need for printing (for example, students can’t print from BYOT devices)? Tip: Use the Classroom Learning Activity Rubric. 6. How will campus leaders and teachers respond to questions of equity (e.g. I can’t afford to buy my child a device)? Tip: Share that the campus has devices available for students who can’t or don’t want to bring their own school. The more BYOT is practiced, the more school devices are available for those with the greatest need. 7. How should I answer questions from staff/students/parents about which devices to use? Tip: Refer to the BYOT Mobile Device Chart online at the bottom of this blog entry. 1 star = Limited – Not appropriate for BYOT classroom use (e.g. may lack WiFi support, difficult to get media on or off device, gaming options). Note: Here is the Mobile Device Chart in MS Word or PDF version for modification and/or printing. Have you stopped, taken a breath, and thought about what BYOT means for YOU and your teachers, students, and parents? That’s a question that is screaming its way into the rarified atmosphere of public schools, like a cataclysmic meteor smashing tidy learning and technology plans. Still, many schools are now coming to terms, one way or another, with bring your own technology (BYOT). Bring your own technology intrigues many and frightens others. As a result of that fear and concern, campus leadership teams are compelled to craft a strategy to implement BYOT successfully. BYOT Scenario: In this problem-based learning scenario, explore BYOT issues from your particular role. You will develop a solution in a face-to-face session. Seven Question Checklist: You will use this checklist to self reflect as a group as to whether you have addressed some key ideas. Links are provided to help you access appropriate resources. Before exploring these two approaches, consider the inevitability of BYOT in schools. Nationwide, 55 percent of middle and high school students, as well as 25 percent of elementary students, own a mobile device (e.g. cell phone). Teens in the lowest income category are most likely to use their phones, instead of computers, to go online. In a few weeks, students like John and Maria at a 5A high school will be bringing their own technology to school. While some teachers like Jennifer are excited about the possibilities—mainly, those that have taken the time to learn how to use the Read/Write Web to collaborate, create, and connect in alignment with academic goals—others like Rick are afraid things will not work as well. Rick is comfortable with students working with pencils and paper, not using their own devices. He is concerned about what they might do on them when he isn’t looking. James, the campus principal, recognizes the need for a campus strategy towards BYOT. He’s worried that teachers will fail to take advantage of BYOT in their lessons and its use will become a self-fulfilling prophecy. “Failure,” he points out with a smile, “isn’t an option in our small community.” This is a fact the district technology department and district leadership are well aware of as well. The Classroom Learning Activity Rubric is one instrument that’s been offered to help teachers employ strategies that take advantage of technology in the classroom. Parents like Ms. Jones (involved in the PTA) are wondering, “How will the school communicate with me about this and will there be a consistent message from campus leaders? Will that message match what teachers are saying and doing in the classroom when students misbehave?” So much is at stake, jobs are on the line, high stakes accountability is in play. At a time when technology is everywhere, teaching, learning, and leading with technology has real consequences. What hunches (intuitive guesses) do you have about this scenario? What do we know for certain about the problem? What questions can we ask that will get us the information we need to help the protagonist solve the problem? Who are the stakeholders in this scenario and what solutions do we need to develop for their particular situation? Pick a stakeholder role–teacher, campus leader, technology department, student, parent—that you have some affinity with and then try to develop a solution. Consider using a KWHL chart like the one below to get you started. While the example is a great beginning point, it’s not intended to be all-inclusive of the conversations embedded in the role of campus leader. What Do I Know? What Do I Want to Know? How Will I Find Information? What Have I Learned? I’m not sure why we’re doing this myself. This is a high-profile project that can’t fail. Digital citizenship is key to successful behavior for students. What is expected of me as a campus leader? How can I better support classroom teachers and encourage them to use BYOT? How can BYOT enhance instruction rather than become a self-fulfilling prophecy? How do I hold teachers accountable for what they are doing or not doing? The District should have a BYOT Support site with online resources focusing on facilitating online learning. The site should also include a webinar schedule, along with micro-credentialing or badges teachers can earn. In Part 2, we’ll explore some specific tips. Be sure to check back tomorrow!